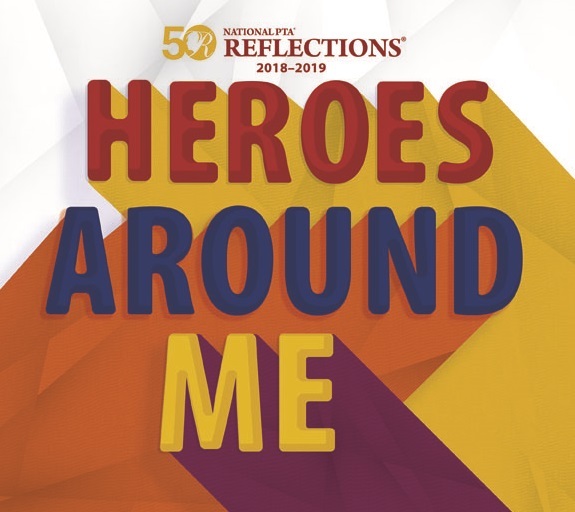 Reflections is a nationwide arts enrichment program that is a great opportunity for our students to express their creativity and be recognized for their talents. Participation is encouraged. All students can submit original pieces of art in any of the following 6 categories: Literature, Visual Arts, Photography, Musical Composition, Dance Choreography, Video Production. Only new pieces of artwork, completely done by the student, and inspired by the theme are acceptable. Up to 2 pieces per category can be submitted. Guidelines for each category are available on the PTSA bulletin board or on the Jeffco PTA website. The theme for the 2018-2019 school year is Heroes Around Me. CCCK-8 has competed in the past and has had outstanding participation, as well as the honor of having several students’ work proceed to state and national levels.